Slavery and Polygamy are Abolished on Earth. Le roman de l'avenir, here translated as The Novel of the Future, was first published in 1834. Although the book attracted little attention at the time, it was solidly established within the canon of landmark works in the prehistory of science fiction by a glowing report in Pierre Versins' Encyclopédie de l'utopie et de la science fiction (1972). It subsequently became the climactic work considered in Paul Alkon's study of The Origins of Futuristic Fiction (1987). Stableford has done sf scholarship an immense service by providing Bodin’s landmark work in a form that will not vanish when you go to read it. Great thanks are also due Black Coat Press, which according to its web site (given at the head of this review) “is primarily devoted to publishing English-language translations of classics of French popular literature, as well as comics and stage plays.” Included in this project is a large agenda of translations of early sf and neighboring genres, with an awesome number of these also done by Stableford. Rivière Blanche, a sister division of Black Coat, “publishes French sf novels in French, for the French market.” Brush up your French and check them out too via a link at Black Coat’s web site. Certainly everyone interested in the history of sf should have Stableford’s translation of Le Roman de l’avenir. 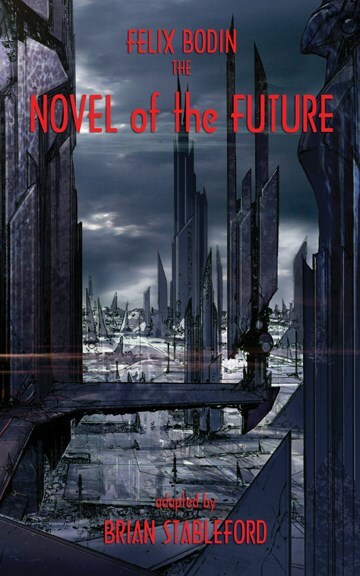 To read it is to understand better what futuristic fiction is or at least ought to be. To read Stableford’s comments on Bodin’s relevance, whether in agreement or disagreement, is to see what is at stake in how sf presents its marvels. Paul K. Alkon, University of Southern Califonia. SF STUDIES #108.